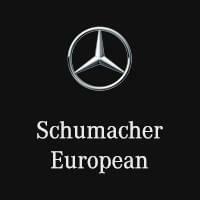 If your Phoenix business requires a van, it’s time to explore the Mercedes-Benz van offers available at Schumacher European. We offer rotating Mercedes-Benz offers to make it easier for you to upgrade your Scottsdale drive, and there are always plenty of options for van upfitting and customizations. No matter what your realm of business if, you can take it to the next level in a Mercedes-Benz van. Explore our van offers below before visiting us near Mesa! When you’re ready to explore Mercedes-Benz van prices in person, contact us to set up an appointment today! Our team is happy to walk you through Sprinter and Metris upfitting option to help you find the Mercedes-Benz van that will make your business thrive.